We all know that fun and engaging games are essential for a good time at a Christian camp, but what about the rewards? Today we are going to go over a few unique Christian camp game reward ideas that will be exciting to win. Remember winning that soccer or gymnastic trophy as a child? There is no better feeling in the world! Like me, you probably toted that trophy around like it was the Stanley Cup. Trophies are great and even uniquely funny with a little thought. For example, let’s say your playing the Guess The Baby Picture Game with your group of campers. Since this game is all about guessing the correct baby picture with the person then you may opt to have the figure (a.k.a. topper) something funny like a baby bottle, pacifier, or possibly a little photo. Buy cheap trophies on Amazon. Similar to giving the winner of your Christian camp game a trophy, you may opt to give them a badge or necklace that signifies they are the victor. These badges or necklaces should be fun and unique to the game played. Could you imagine an individual or team walking around with a popcorn bucket badge pinned to them? Trust me, it will make their christen camp experience that much better and give them something else to talk about. On that note, badges and necklaces encourage interaction between children and adults. They serve as the perfect icebreaker to get people talking to each other. Thinking about how easy it would be for a child to say, “Hey, awesome cookie monster badge. That game was so cool!” The ice is broken and the kids are talking. Buy cheap badges on Amazon. These are pretty self-explanatory, but always a great gift. I read a study once that claimed men and women want gift cards at Christmas time more than anything else, but are hesitant to ask for them. Why do people love gift cards? Because we can buy anything we want! Take some time and think about the type of people attending your Christian camp, and you will come up with great gift card ideas. Buy gift cards for any occasion on Amazon. 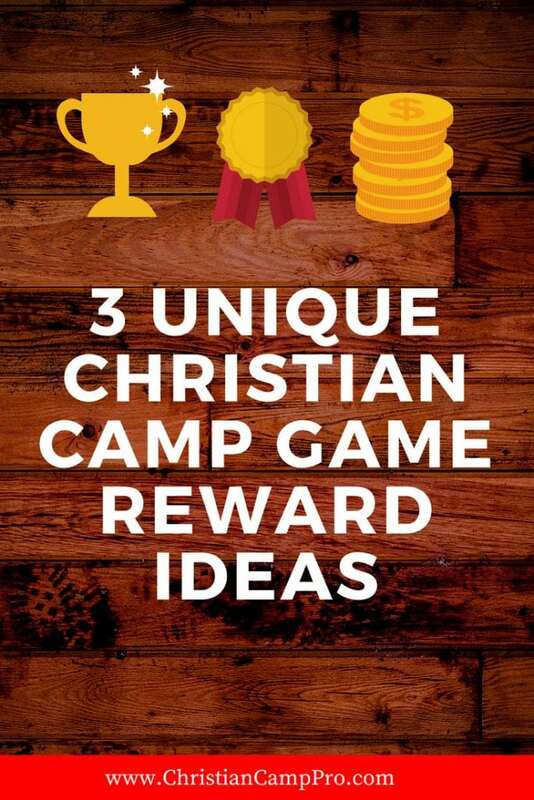 Trophies, Badges, Necklaces, and gift cards are all unique and fun Christian camp game reward ideas. You cannot go wrong with any of these. Are their other Christian camp game rewards? Let others know about them in the comments below.